Jason Sobel, Andrew Forsberg, David H. Laidlaw, Robert Zeleznik, Daniel Keefe, Igor Pivkin, George Karniadakis, Peter Richardson, and Sharon Swartz. 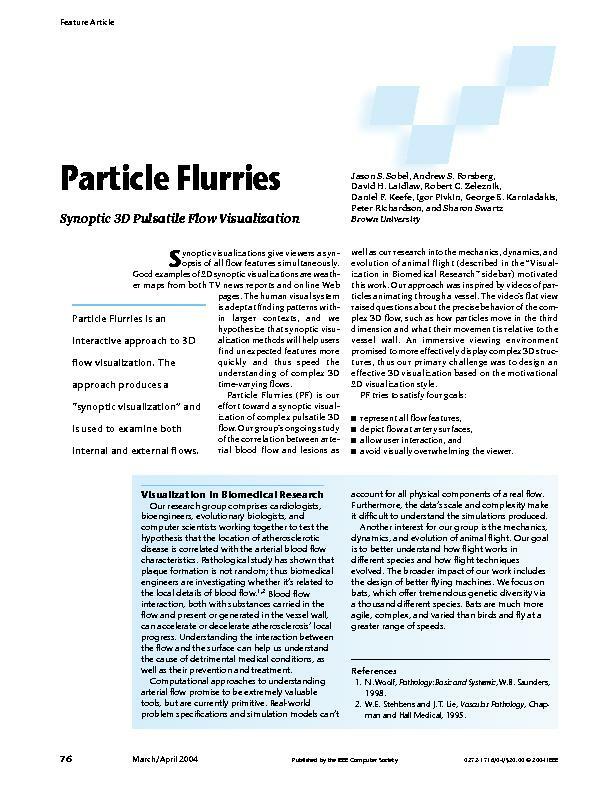 Particle Flurries: Synoptic 3D Pulsatile Flow Visualization. IEEE Computer Graphics and Applications, 24(2):76-85, March/April 2004. (pdf) (bibtex: Sobel-2004-PFC).